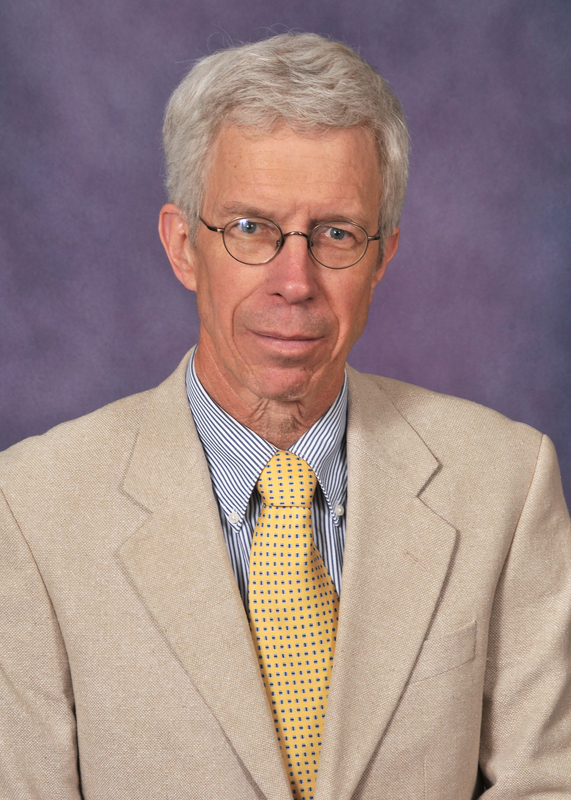 Professor Stephen Calkins returned to Wayne Law in fall semester 2015 after being on leave since 2011. During his leave, Calkins served as a member of The Competition Authority of Ireland and director of its Mergers Division and later as a member of the melded Competition and Consumer Protection Commission of Ireland. He also served as an adjunct professor at University College Dublin Sutherland School of Law. From 2008 to 2011, Calkins served as Wayne State University's associate vice president for academic personnel, while continuing to teach at Wayne Law on a limited basis. From 1995 to 1997, he served as general counsel of the Federal Trade Commission, a position to which he was nominated by FTC Chairman Robert Pitofsky. 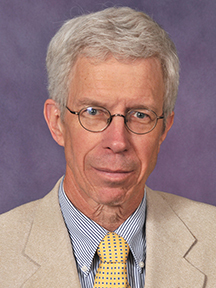 At Wayne Law, Calkins taught courses and seminars that drew on this experience - Antitrust and Trade Regulation, and Consumer Law - plus Torts and occasionally Corporations. He has taught at the universities of Michigan, Pennsylvania and Utrecht (The Netherlands) and served as Wayne Law's interim dean. Calkins is in demand as a speaker, annually delivering many presentations on competition and consumer law and policy to governmental, professional and academic audiences across the United States and overseas. Before joining The Competition Authority of Ireland, he consulted with federal, state and foreign governmental agencies. He has testified before Congress and federal and state agencies. He is a prolific author with articles in leading academic and specialty journals. His books include Antitrust Law: Policy and Practice (4th ed. 2008) (with C. Paul Rogers III, Mark R. Patterson and William R. Andersen), Antitrust Law and Economics in a Nutshell (5th ed. 2004) (with Ernest Gellhorn and William Kovacic) and, as a co-editor, ABA Antitrust Section, Consumer Protection Law Developments (2009). Calkins participates in a wide range of professional activities. He is a life member of the American Law Institute, a fellow of the American Bar Foundation and a member of the advisory boards for the American Antitrust Institute, Sedona Conference and National State Attorneys General Program Advisory Project at Columbia Law School. For the American Bar Association, he has served on the Councils of the Sections of Administrative Law and Regulatory Practice and the Section of Antitrust Law (two, three-year terms). He is a former chair of the Association of American Law School's Antitrust and Economic Regulation Committee. At Wayne State, Calkins served three terms on the Academic Senate's Policy Committee (its executive committee). He served as the Senate's parliamentarian from 2000 to 2007. Previously, he served on various university committees, including the Review Advisory Panel for Economics and the university Promotion and Tenure Committee. At Wayne Law, he has served multiple terms on the promotion and tenure committee, budget committee, curriculum committee and faculty appointments committee. He was an elected member of the 2003-04 Strategic Plan Implementation Committee. Previously, he chaired the ad hoc committee on U.S. news and the task force on student recruitment. He holds a bachelor of arts degree from Yale University and a law degree from Harvard University. He is the recipient of the ABA Section of Antitrust Law Fiftieth Anniversary Publications Award, Federal Trade Commission Award for Distinguished Service and Donald H. Gordon Award for Excellence in Teaching. Calkins lives in Northville, Mich., and, with his eight siblings, he owns a summer place on Long Lake (near Traverse City, Mich.) that was established by his grandparents more than 80 years ago. spoke at the annual Antitrust Spring Meeting in Washington, D.C on March 27. He discussed the fundamentals of Sherman Act Section 1.
spoke at Northwestern Kellogg School of Management’s conference on “Navigating the Uncertain Climate of Vertical Merger Enforcement” on Jan. 25.
wrote “Reflections on Matsushita and 'Equilibrating Tendencies': Lessons for Competition Authorities,” for the Antitrust Law Journal. was a panelist at the 12th Annual Private Antitrust Enforcement Conference in Washington D.C. on Nov. 14. He discussed private antitrust enforcement and the new Supreme Court. was a panelist at the Antitrust Judicial Law & Economics Institute for Judges at Berkeley Law on Oct. 24. He discussed legal and economic issues in recent cases on mergers, acquisitions and joint ventures; and cutting edge antitrust issues related to technology platforms, “big data” and multi-sided markets. was appointed by the Northville City Council to serve as an alternate member of the Board of Zoning Appeals, to fill a vacancy, with a term that expires July 1, 2021. He previously served on the Board of Zoning Appeals as an alternate member from 1987 to 1995.
published “Reflections on Matsushita and ‘Equilibrating Tendencies’: Lessons for Competition Authorities” for the Antitrust Law Journal. Read the full article. spoke at the American Antitrust Institute 19th Annual Conference on July 21 in Washington D.C. He discussed antitrust and the Supreme Court. spoke at the American Antitrust Institute’s 19th Annual Conference “Antitrust at a Crossroads: Plotting the Policy Course for the Next Decade.” Calkins discussed antitrust and the Supreme Court. was featured in a Wayne State University story, “Annual Baroudeur, training rides bring together Warrior community.” Read the story. was a moderator at the ABA Antitrust Section Annual Spring Meeting in Washington D.C. on April 11.
was a moderator for the 66th Annual American Bar Association Section of Antitrust Law Spring Meeting in Washington, D.C. This conference is the largest of its kind in the world. gave a guest lecture at UCD Sutherland School of Law in Dublin on “Introduction to EU Competition Law.” The primary focus of the “Economic Law of the EU” course is to explore key European Union economic/legal policies intended to secure the creation of the internal market. presented Competition Law Enforcement: Convergence and Divergence at UCD Dublin Sutherland School of Law. spoke at the American Antitrust Institute's annual conference in Washington, D.C. His topic was "Greatest Hits in Antitrust - Mergers, Monopoly and More." spoke at the 17th annual Loyola Antitrust Colloquium in Chicago. provided expert consumer advice about credit cards for WalletHub.com. Read his advice here. spoke at the American Bar Association Antitrust Section spring meeting in Washington, D.C.
spoke at the American Antitrust Institute's International Antitrust Roundtable in Washington, D.C. His presentation was titled, "Observations on the Year in International Antitrust." participated on a panel of experts at Georgetown Law's 10th Global Antitrust Enforcement Symposium in Washington, D.C. His panel discussed, "Hot Topics in U.S. Enforcement and Policy." presented a primer on antitrust law and pleading standards under Bell Atlantic Corp. v. Twombly at the Federal Bar Association Eastern District of Michigan Chapter's antitrust committee lunch and learn. presented "Teaching Consumer Law in Ireland" at the University of Houston Law Center's Teaching Consumer Law Conference in Santa Fe, New Mexico. wrote “How Might A Justice Kavanaugh Impact Antitrust Jurisprudence?” for ProMarket. was quoted in a report for Law360, "Impact Of AmEx Decision On Tech Cos. Up For Debate." co-wrote, “Can A Single FTC Commissioner Constitute A Quorum?” for Law360. was quoted in a report for the Wall Street Journal, “AT&T Targets DOJ Antitrust Chief in Time Warner Fight.” The article also was picked up by the Morningstar. was quoted in the FTC Watch article "DOJ moving at ‘full speed’ while FTC stays in holding pattern." was quoted by Bloomberg Law for its report, "Trump’s FTC Pick Known for ‘Energetic’ Antitrust Enforcement." was quoted by the Kitsap Sun for its report, "State sues CHI Franciscan, alleging anticompetitive deals in Kitsap." was quoted by FTC: Watch for its report, "Ohlhausen touts successes amid waiting game." was quoted by Bloomberg BNA for its report, "FTC Credited for Showing Muscle in Walgreens-Rite Aid Case." was quoted by FTC: Watch for its report, "DOJ drops Amex case after protracted battle, 11 states pick up baton." was quoted by Bloomberg Big Law Business for its report, "Without DOJ Backing, States Pursue AmEx Antitrust Appeal." was quoted by FTC Watch for its report, "Trump antitrust era expected to usher in big, small changes." was quoted by FTC Watch for its report, "Lipsky talks continuity at FTC, but wants some changes." was quoted by Recode for its report, "Trump's possible pick for FTC chair might have to recuse himself in cases involving Google, Facebook or Microsoft." was quoted by Bloomberg BNA for its report, "Ohlhausen Seen Auditioning to Keep Top FTC Role." was quoted by Bloomberg for its report, "Ramirez Exit Gives Trump Unprecedented Chance to Shape FTC." was quoted by The Wall Street Journal for its report, "Obama Antitrust Enforcers Won't Bring Action in Airline Probe." was quoted by Bloomberg BNA for its report, "Trump viewed as wild card for mega mergers." was quoted by The Pennsylvania Record for its report, "FTC wins preliminary injunction against Penn State Hershey/Pinnacle merger." was quoted by the Indianapolis Business Journal for its report, "DuPont-Dow merger faces big EU obstacle." was quoted by Bloomberg BNA for its report, "Clinton Seen Continuing Obama Merger Crackdown." was quoted by Global Competition Review for its report, "Market definition should decide fate of challenged health insurance deals." was quoted by Global Competition Review for its report, "FTC drops West Virginia hospital merger challenge." was quoted by The Pennsylvania Record for its report, "Former FTC attorney: Win in Hershey/Pinnacle merger 'critically important."